We have a semi-regular newsletter. 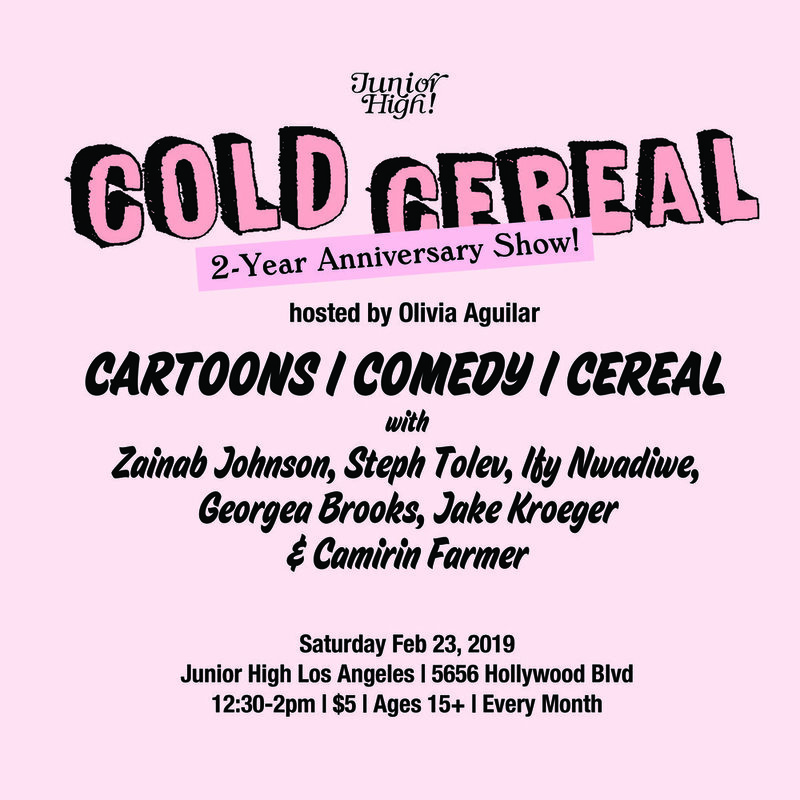 COMEDY | $5 SUGGESTED DONATION | AGE 15+ | Join us for Saturday morning cartoons and comedy! Doors at noon-thirty, free mimosas and cereal. Comedy starts at 1pm, hosted monthly by Olivia Aguilar. Sign up here to stay up-to-date on all things Junior High.